Building Confidence or False Hope? 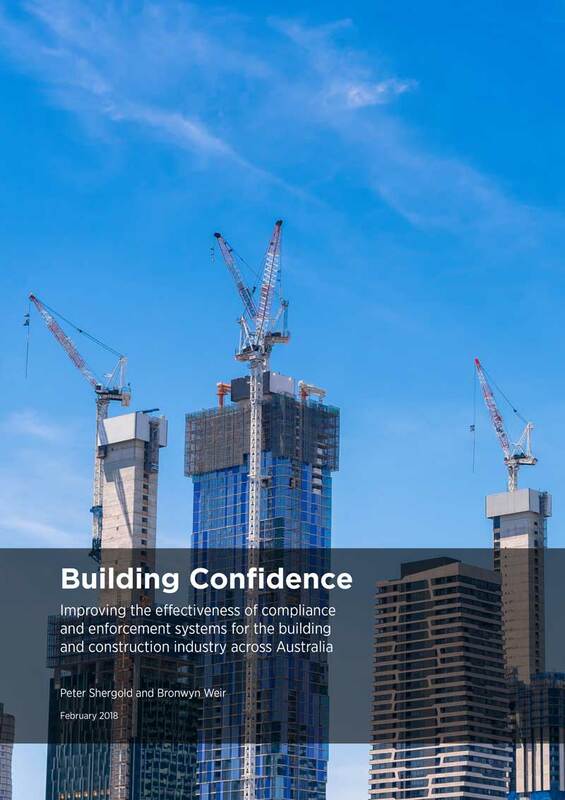 The report ‘Building Confidence’ by Peter Shergold and Bronwyn Weir, addresses a number of major flaws to the National Construction Code (NCC) in regards to design, certification and the handover processes. But will it be enough to change entrenched organisational silos and industry culture? The Report was commissioned by the Australian Building Ministers Forum. Its objective is to recommend improvements to compliance and enforcement systems under the National Construction Code (NCC) in Australia. In January 2019 the Opal Tower debacle (structural defects) added weight to implementing the recommendations of the Shergold Weir Report. the standard of documentation supporting performance solutions is poor. a full set of final documents for a Commercial building * (which includes all relevant documents for the ongoing management of the building) is not usually collated and passed on to the owner or subsequent purchaser. “The often overlooked importance of design and documentation is its role in the life cycle of the building beyond occupancy approval. Poor design documentation makes verification that essential safety systems and equipment continue to perform to the standard expected throughout the life of the building extremely difficult”. *‘Commercial buildings’ refers to class 2–9 buildings, which includes multi-storey residential buildings and public buildings. a building compliance process which incorporates clear obligations for the approval of amended documentation by the appointed building surveyor throughout a project. conditions of use—such as occupant numbers, loads, replacement of products after certain periods (for example, glass after 25 years). While the above recommendations are very sound, how will it be achieved in the face of an industry culture that sees the provision of proper information a task to be avoided or handed to junior staff. Add to this other regulations such as the Work Health Safety Act which requires both designers and contractors to provide specific information and you have a very complex system with multiple organisational and discipline silos to address. Dr Tom Crow, Engineers Australia has stated “the industry is very poor in its approach to managing the transition of a project to the operational phase”. And has called for improved processes and education to better equip engineers to understand how to plan and deliver the right information at the right time for the right purpose. However, organisations like Bunnings are taking a proactive approach. They mandate the provision of completed Manuals as a pre-condition to contract acceptance and also include ‘owner information’ such as planning consents, compliance and certifications that are often early design and non-builder related. In fact clients like Bunnings have reported that the inclusion of a more comprehensive Building Manual has substantially reduced their costs for due diligence and ongoing operation and maintenance. We have included a link to the 2018 Shergold Weir Report and welcome any useful feedback. Recommendation 16—Approval of documentation throughout the construction process a building compliance process which incorporates clear obligations for the approval of amended documentation by the appointed building surveyor throughout a project.